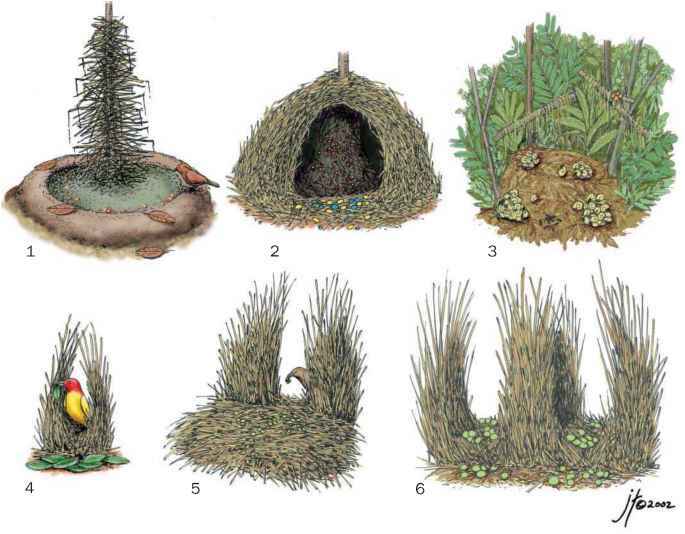 Most members of this family construct cup-shaped nests. These vary from that of quail-thrushes, which is made of dry vegetation placed in a small depression on the ground, to the bulky, thick-walled nest of the ifrit, situated about 10 ft (3 m) from the ground. In contrast, the lesser melampitta builds a domed nest with the entrance on the side and places it up the side of a tree fern trunk. Quail-thrushes, jewel-babblers, and the rail-babbler lay two eggs, the other species one. These are covered with dark spots and blotches against a pale background. The Australian whipbirds and wedgebills have light blue eggs strongly marked with black scribbles. The roles of the sexes and the lengths of incubation and nestling periods are poorly known for many members of this family.